Category Archives for "Narrowboat Marinas"
Shireoaks Marina is a relatively new and large marina on the Chesterfield Canal, situated in the little village of the same name, a few miles west of Worksop. 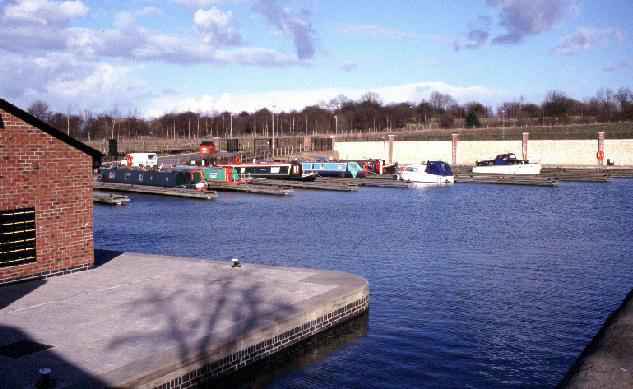 The Marina was opened in May 2000, along with an eight mile stretch of restored canal west of Worksop. Formerly the site of a barge loading area and the settlement pond of the Shireoaks Colliery, it was created as part of the canal restoration, itself part of a wider regeneration scheme after the closure of the British Coal colliery in 1991. 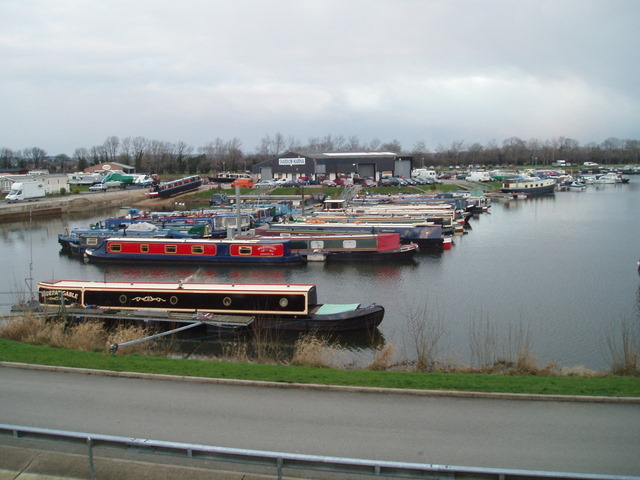 The marina is operated by British Waterways – details of moorings etc from the Newark office – telephone number as above. The marina offers visitor, residential and non-residential moorings, and provides about 60 secure berths with ample free car parking, toilets, showers, water and electric charging points, refuse and elsan (ie chemical toilet) disposal, a telephone and post box and pump out service. The cost of the moorings is around ?70 a metre depending on the type of mooring required. The basin is very spacious and also provides a winding (turning) point for boats. There is CCTV covering most of the marina. There are also some facilities nearby in the village of Shireoaks, including a railway station on the Sheffield-Worksop line, a post office and newsagents, a small general shop and a butchers. Alas, the pubs in the village have recently closed, although there are some good ones in Worksop. It’s not the most scenic of marinas – no historic buildings and the like – but this stretch of canal is very attractive and very quiet, given that the end of navigation is just a few miles upstream (there are plans to reconnect it to the remainder of the Chesterfield canal at Chesterfield.) Just to the west is an impressive series of locks, including two double locks and two triple locks, leading towards the current head of navigation at the entrance to the disused Norwood Tunnel. The marina comprises 89 berths each with its own metered electricity and water on fully secure pontoons incorporating non-slip decking that are serviced by two sets of toilet and showers. There are also nine Gold Service private showers and toilets for the sole and exclusive use of individual boat owners and their families and friend for which an additional charge applies. The larger of the two facilities buildings contains in addition to toilets and showers the marina office and shop, laundry facilities and storage, with pump out and diesel sales on the adjacent wharf plus Elsan disposal close to the smaller building. Kings Orchard Marina has been built to the highest standards throughout. Oak beams and limestone floors are prominent in the construction of the facilities buildings while the fixtures and fittings range from a sophisticated security key system to top of the range sanitary ware, a new high speed pump out unit and the very latest in fuel pumps. We believe Kings Orchard Marina sets a new benchmark for quality on the canal system. Why not contact our caretaker now on 01543 433608 to discuss availability of moorings and private bathrooms for your own exclusive use? 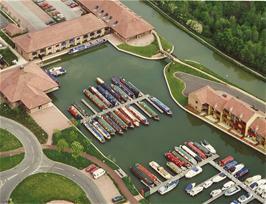 Tewkesbury Marina has 400 flood protected berths, set in the beautiful Gloucestershire countryside. Located where the River Severn and Avon meet, you have a choice of cruising areas including the beautiful River Avon which meanders gently to Statford-upon-Avon. The larger River Severn flows down through Gloucester to the Bristol Channel and up to Worcester and Stourport. The Marina, with its extensive facilities, offers safe berths for family and guests to enjoy life afloat in a friendly and relaxed environment. 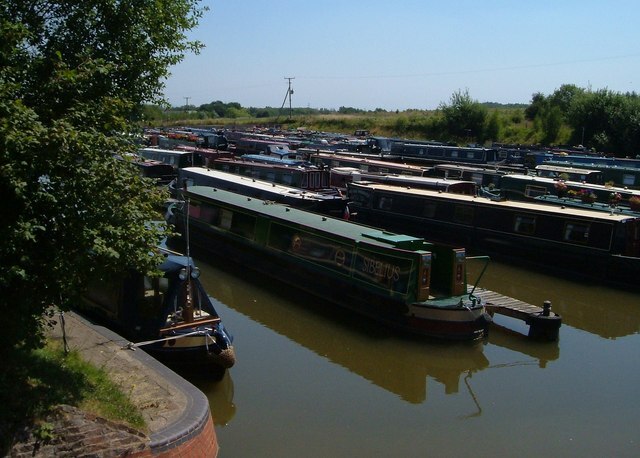 Shardlow Marina and Caravan Park are situated in the rural setting of the historic, canalside village of Shardlow. 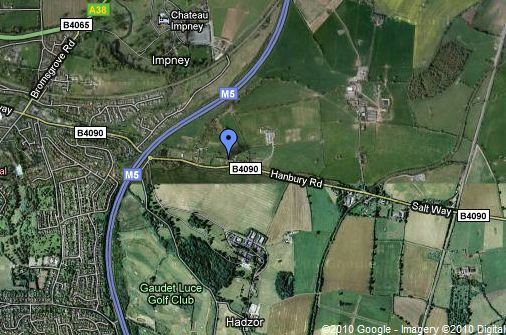 The site is about 6 miles south of Derby, ten minutes from M1 Junction 24 (map) – an ideal location for both boaters and caravanners. We are on the River Trent and within easy reach of the Trent and Mersey Canal, the Erewash Canal and the River Soar. We are also conveniently located for the Derbyshire Dales, the National Forest, Nottingham and Robin Hood Country. The complex has all the facilities that both boaters and caravanners (both static and touring) would expect, including an on-site bar and restaurant with the Caravan Park being AA 3-pennant and Camping and Caravan Club listed. Droitwich Spa Marina will comprise of 238 moorings for various narrowboats up to 70ft length. Droitwich Spa Marina is on the Droitwich Junction Canal which together with the Barge Canal is being restored at the cost of ?12.5m (funded by the Heritage Lottery Fund and Advantage West Midlands). These two canals will re-open as Droitwich Barge Canal, a short 21 mile cruising circle (the only one in Europe! ), connecting the Worcester-Birmingham Canal to the River Severn via Droitwich Spa and the River Salwarpe. The new route passes through the picturesque town of Droitwich Spa with many shops, pubs and cafes. But will also encompass the historical Catherdal City of Worcester with the premiership league Worcester Rugby Club at Sixways, Worcester Cathedral, Royal Worcester Porclain, Worcester County Cricket Club and Worcester Racecourse. Droitwich Spa Marina is in an excellent location, not only to the Midland canal network, but it is just 2 miles from Junction 5 of the M5 motorway. Once moored you are just a 15 minute stroll along the towpath to Droitwich Spa Town or 200 metres from the Eagle and Sun Pub overlooking the Worcester-Birmingham Canal. It is hoped construction of this marina will commence in February 2011. As well as protecting the existing wildlife, when completed new habitats will also be created. The surrounds of the marina will be enhanced with sympathetic landscaping. Numerous different species of aquatic plants will be planted around the waters edge, which is also expected to help create a tranquil setting for the enjoyment of boaters at this new marina. 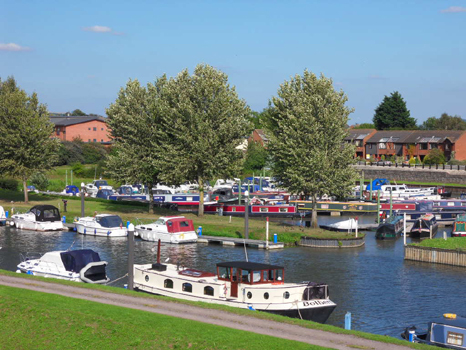 Stourport Marina is set in rural Worcestershire on the River Severn situated close to the M5 and M42 Motorways, 20 miles south of Birmingham and 3 – 5 hours from London. Convenient for cruising on the Worcester and Staffordshire canal system, 5 hours cruising from the from the river Avon and 10 hours from the Bristol Channel, giving cruising potential to the Welsh, Devon and Cornish Coasts. There are 130 moorings designed to berth wide beam ocean going craft as well as river and canal cruisers. All berths are on a floating pontoon system with water and electricity points. The whole area has security fencing and lighting and is set in a landscaped gardens complete with a barbeque area for your personal use to entertain friends and family. We have a popular clubhouse with a restaurant and bar. The extensive menu is based on good homely cooking and we offer excellent traditional Sunday lunches at attractive prices. The bar offers a variety of popular beers, lagers wines and spirits. The deck patio, our latest facility, over looks the marina where members can sit and have a meal or a drink while enjoying splendid view. On a warm day you could be anywhere in the world!! After a days cruising, you can enjoy an evening dancing, disco, or light entertainment most weekends of the year. 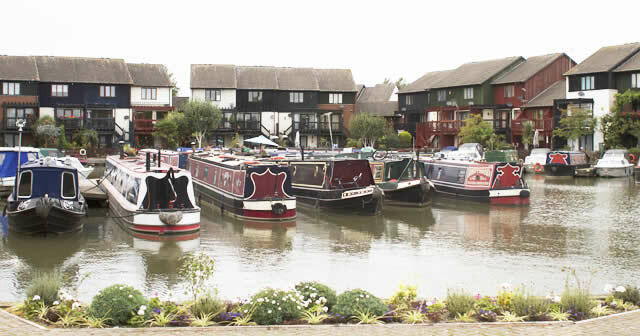 Milton Keynes Marina is a modern city centre marina nestling in a 15 miles lock free stretch of the Grand Union canal. The Marina is owned and run as a family business, aiming to offer a friendly and professional service. All facilities are on hand including a workshop, slipway, and secure car parking. The jetties are in the process of being fully upgraded and laundry facilities have been added. We can accommodate, Narrowboats, Widebeams and Cruisers of any length. The small chandlery/brokerage/office is open 7 days a week between 10am and 4pm. The Marina is approximately 10 minutes from Milton Keynes mainline train station (London 30 minutes), and 10 minutes from junction 14 of the M1. Milton Keynes indoor shopping centre, theatre district, and the many other sports & leisure activities that form an integral part of Milton Keynes are close by. There is a Chinese and Indian takeaway, hotel, pub with restaurant onsite. Willowtree Marina, located on the Paddington Arm of the Grand Union Canal in West London, offers that rare combination of easy accessibility, security and attractiveness for so many canal based activities. There is a quiet pride in what is on offer here and we hope you will feel this too. Willowtree Marina has set its sights on becoming a leader on the Inland Waterways. A desire to uphold the best of our canal past has been coupled to a management commitment for Customer Care, Quality Assurance and Environmental Protection. Whatever it is you are looking for – be it moorings for boats, locations for filming, a centre for canal events, wildlife photography, walking, etc. – Willowtree Marina should be your first port of call. 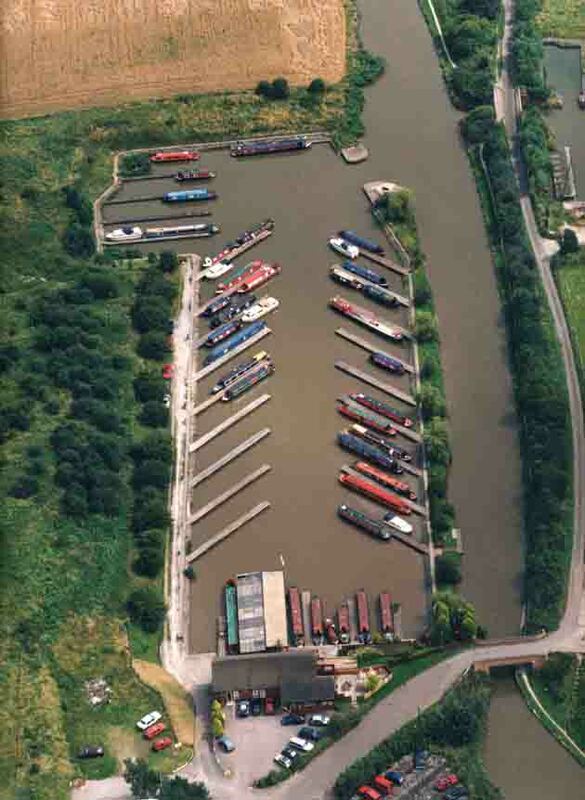 Uplands Basin Marina provides safe and secure moorings for 120 boats in a beautiful peaceful setting in the heart of the Cheshire countryside. Situated next to the top of the Anderton Boat Lift, it gives direct access to 14 miles of lock free cruising on the Trent & Mersey Canal along the spectacularly beautiful Weaver Valley, from Middlewich in the South to the stop lock at Preston Brook in the North. It also affords easy access via the Boat Lift on to the River Weaver. The marina is surrounded by forestry and Marbury Country Park, providing over 40 miles of country walks. The Visitor Centre for the Anderton Boat Lift is right alongside the Marina, and offers a modern interactive exhibition centre, focusing upon the lift’s history and the people who worked on and around it. The exhibition is colour coded to specific themes, with a high interactive content and an entertaining cinematic centrepiece. The lift control centre is located within the exhibition, enabling visitors to get up close and personal with the lift on its busy daily schedule. Upstairs in the new Visitor Centre is a cafe. Anderton Marina is located by the Trent and Mersey Canal at Anderton village on the outskirts of Northwich in Cheshire and adjacent to the restored Victorian Anderton Boat Lift. The attractive marina is well equipped with a shop selling boat spares, canal maps, guides and confectionary. On the site there are boats for sale, moorings with electric hook ups, wi fi and full marina services including a Dry Dock for out of the water repairs. The marina is on the Cheshire Ring and provides a great variety of cruising. In one direction you have head toward Middlewich where it joins the Shropshire Union canal giving access to places like Chester or Llangollen. In the other direction you can go up on to the spectacular Pennines with the Market Town of Skipton and Bingley with its famous 5 rise locks, or into Manchester and on to places such as Sowerby Bridge or Marlpe dependant on the canal you choose.